A home inspection is designed to provide a report on the home’s condition when the property was inspected. The report will relay the condition of the various systems throughout a home and indicate if there are any issues. There are some items that routinely pop up during an inspection that could be avoided with a bit of planning ahead of time. 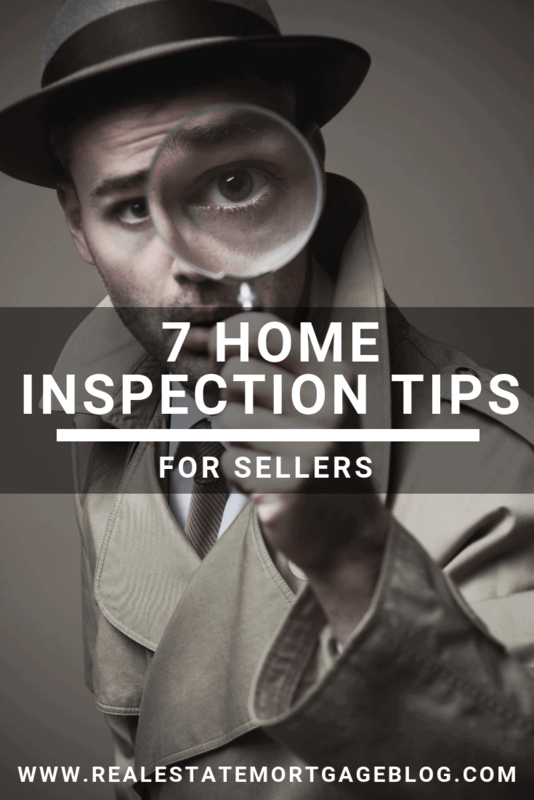 The following home inspection tips for sellers list some items that sellers can look over in preparation of the inspection in hopes of avoiding major repair bills. Here are the major issues on the exterior of a home that an inspector will look for and things a seller can do to make sure issues are resolved. Plants/trees/shrubs – there should be a minimum of 10 inches between the plants and the edge of the home. Siding – if the home has siding, the ground or dirt needs to be at least 6 inches below the bottom edge of the siding. Getting these basic items correct will cut down on possible work later. The main item to inspect in a garage is the primary garage door. Make sure the door opens and closes correctly both manually and with any electronic opener. Also, take a moment to check the interior door that leads from the garage to the rest of the home. This door should have a solid weather seal around the perimeter of the door to keep out the elements. Since the home inspector is not a certified plumber, and the buyer does not expect you to be a plumber, there are only a few things to check for plumbing. Obviously, make sure all drains in the kitchen and bathroom are flowing without any clogs and that there are no slow drips from faucets. Review the water heater to make sure there are no leaks. If the home has a gas water heater, check the pilot light to ensure it is lit. Most people will want to take the time to remove any debris such as leaves, limbs and other items from the roof. A broom is normally sufficient for this task. Any damaged roof shingles should be replaced. Repair any damaged areas along the eaves of the roof as well. Clean out all of the gutters completely. Make repairs to any damaged portion of the gutters. Since the heating and air conditioning system is one of the most expensive parts of the home, it pays to keep it in good working order. All HVAC technicians agree that changing the filter each month is one of the best preventive pieces of home maintenance. For the outside air conditioning unit, remove any debris that may be near the compressor. Keeping a good flow of air to the compressor will help the unit to run more efficiently. It may also be a good idea to contact a local HVAC technician to perform a tune-up on the unit. Since these areas all have water supplies, now is the time to inspect for leaks. Immediately fix any leak that is found. Visually inspect the tiles around the tub and toilet. If there are any damaged tiles, contact a contractor to determine the source of the damage. Simply replacing a few ceramic tiles may mask a bigger problem. Go through the home and open/close all doors and windows. Repair any damaged or broken hinges, knobs or locks. Pay special attention to windows throughout the bedrooms. Check the batteries in all smoke alarms. Also, check that the actual alarm is working correctly. Check each light switch to ensure they are working correctly. Replace any blown light bulbs in all areas of the home. Please keep in mind that an inspection does not represent a warranty on any part of the home. It is merely a report that shows the condition of the home at the time the inspector visited the property. However, it should provide both the seller and buyer with a better understanding of the home’s status and alert them to any major issues that need to be addressed.